The workgroup’s purpose is to explore the use of objective measures such as electrophysiology as well as neuroimaging in the hearing sciences, with an aim towards developing clinical tools and techniques that can be applied to individualised treatments. Jamie obtained his PhD in Biomedical sciences in 2013 at the University of Leuven (KU Leuven) in Belgium. His research project focused on investigating the polarity sensitivity of the auditory nerve by means of objective measures of peripheral and central neuronal activity in humans with cochlear implants. Afterwards Jamie moved to the UK and worked as a postdoctoral researcher at University College London (UCL) in the project entitled “Advancing Binaural Cochlear Implant Technology (ABCIT)”, a project supported by the European Commission under the Health Theme of 7th Framework Programme for Research and Technological Development. Here, he had the opportunity to investigate and develop new objective measurements (EEG recordings) of binaural processing in normal listeners as well as in cochlear implant users. The results of this project led him to obtain the “New Investigator Award” at the 8th International Symposium on Objective Measures in Auditory Implants held in Toronto, Canada. 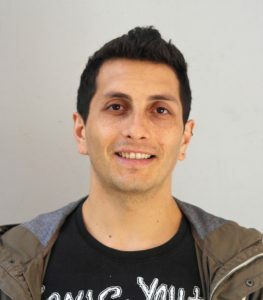 Jamie started my second and current postdoctoral position at Macquarie University in 2015 where his research focuses on basic mechanisms of electrical hearing, binaural hearing and hidden hearing loss. Bram is the head of the Hearing Science department at the National Acoustic Laboratories (NAL) in Sydney (Australia), and responsible for projects involving electrophysiological and behavioural hearing assessment. 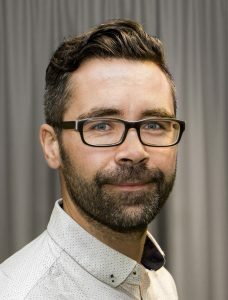 His current research involves the development of objective and behavioural tools, applied clinically to hearing, hearing aid and cochlear implant fitting evaluation in hearing-impaired infants, children and (Aboriginal) adults (with or without dementia), normal-hearing populations, and those with problems listening in noise. Bram has published 25 papers (of which 7 as first author) in high-impact audiology and biomedical engineering journals and 5 conference proceeding papers (of which 3 as first author). He presented his work at more than 100 international conferences, both papers and informative workshops, and is the organiser of the most relevant conference on auditory electrophysiology in 2019 (the International Evoked Response Audiometry Study Group, IERASG). He is an Associate Editor of the International Journal of Audiology, and has been a guest editor for Seminars in Hearing. Bram holds 1 awarded international patent in relation to electrophysiological testing. A list of his publications can be found here: https://goo.gl/dNDYry . 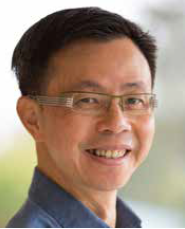 WaiKong holds a Bachelor degree in Engineering, a Masters of Engineering Science and a Doctorate in Philosophy, and has been involved in an array of research studies including but not limited to NRT‐based measurement of forward masking tuning curves, single sided deafness, Nucleus 6 (Performance in Noise) and Nucleus Scalability (Clinical Care Innovation) during his previous roles in research and engineering at the CSIRO department of Applied Physics, Monash University, University of Melbourne and Zurich University Hospital. His fields of interest include speech coding strategy development, psychophysics, electrophysiological measurements and speech and music perception.